Should You Apply for A Debt Consolidation Loan? A debt consolidation loan can be one of the best ways to pay off your outstanding debt. It allows you to consolidate multiple unsecured debt obligations into a single new loan, called a “debt consolidation loan”. This type of loan is designed to pay off your existing creditors. Once your creditors are satisfied, you now have only one loan to pay each month. If your credit is good, you may pay less interest on the debt consolidation loan than you were paying overall to your creditors.If you manage it well, you can also get out of debt quicker. It may be. If you have multiple credit card debts, personal loans, outstanding medical and utility bills, and any other unsecured loans, you can combine these into one payment using a debt consolidation loan. A single payment helps you avoid missing payments, incurring late fees, and paying interest unnecessarily on outstanding balances. Once you are approved for a debt consolidation loan, you will likely be able to lower your overall interest costs, thus eliminating the stress of high interest payments, and lower your monthly debt payments. With lower payments, you can increase your cash flow while you pay down the debt by making only one payment to one creditor each month. You have many options in structuring a debt consolidation loan. You can tailor it to best serve your needs. 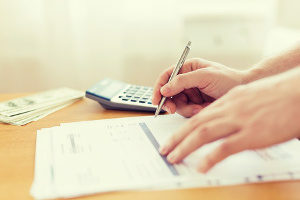 You can do it with a personal loan, a HELOC (home equity line of credit), a credit card, or perhaps a combination of these strategies, depending on your personal situation. Here is a brief description of how these basic types of debt consolidation loans work. Credit Card Balance Transfers. If you have several high interest rate card balances, you can transfer the balances onto one low- or no- interest rate credit card. By consolidating all of your credit card balances into the single credit card, you can significantly limit the amount of interest you pay, even if the new credit card bank charges a balance transfer fee. These low balances usually expire after a set period of time, perhaps six months or one year. 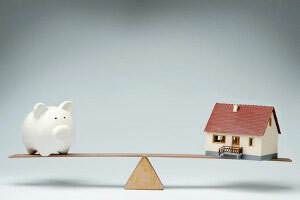 For this strategy to work best, you need to pay off the balance before the interest rate goes up. Also, you must get control of your spending and refrain from putting yourself further in debt by using your new credit card to make new purchases. If you are unable to do that, you may want to consider a different debt consolidation loan strategy. Personal Loan. This is an unsecured loan that may give you a lower interest rate than your credit cards. It will also help you avoid late fees and interest charges on outstanding medical or utility bills. A personal loan may be a good alternative to a credit card balance transfer to help you curb new spending. Line of Credit or HELOC. A line of credit provides you with access to credit. You will pay interest only on the amounts you borrow. If you own a home with sizeable equity, you may be able to secure a line of credit by using your house as collateral. This may lower the interest rate you pay. However, interest rates on these loans usually adjust, and during a rising interest rate environment, you want to avoid adjustable rates. Also, if you default on a HELOC, the lender can foreclose on your house. So you will need to refrain from tapping this line of credit for more spending. What you want to avoid is increasing your debt load by tapping a credit line and then making new purchases. If you have compulsive spending habits, a line of credit secured by your home may not be appropriate for you. Keep in mind that debt consolidation loans are like refinancing existing debt. Your monthly payments go down, but the repayment period is extended. If you can afford it, making extra principal payments each month will reduce the amount of total interest you pay over the life of the loan. Interest rates will not stay as low as they have been for the last several years. As the economy improves, interest rates will begin rising. If you are considering a debt consolidation loan, apply quickly to get the best interest rates you can. 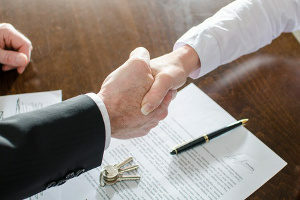 Consult a knowledgeable loan specialist at Fairfax Mortgage to determine the best type of loan for your particular situation. The sooner you act, the sooner you can get on the path to debt freedom.Learn more about their services or apply for a debt consolidation loan on their website, or call them at (703) 214-7255. They are standing by ready to help you right now.